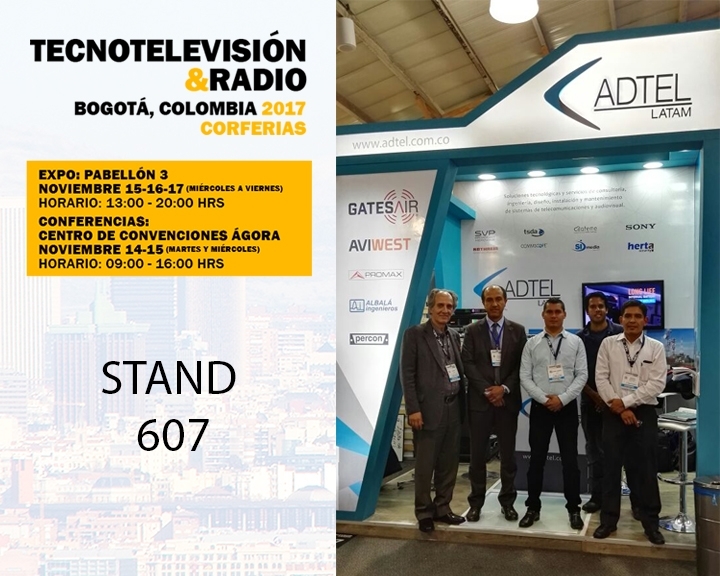 ADTEL Latam participates in the international fair TECNOTELEVISIÓN & RADIO 2017 in Bogotá, in Colombia. This fair is a benchmark event within the audiovisual sector and the telecommunications sector. In it cross Broadcasting TV stations, TV producers, post-production companies of Cinema, Television and Audio, networks and cable TV stations, recording studios, etc.